When it comes to Tennessee mortgages and mortgaging, the more knowledge you get, the more control you will have over your home and loan. If you are entering the market with the intention of buying a house, it can either be a stressful experience or a calm one. The key is getting to know the various types of mortgages, the steps in buying a home, the real estate market in Tennessee, the most reputable lenders, the interest rates to expect, eligibility criteria and down payment requirements among many others. Maybe you already own a home and need such information about changes in interest rates, property taxes imposed on homes, and other mortgage policies that affect your ownership and monthly payments directly or indirectly. With that kind of information, you will be better placed to shop for a home and plan your finances to avoid the risk of foreclosure. Remember that the real estate industry can be very volatile, a single percentage change in interest rates can throw you off course if you don’t have enough knowledge to make your plan flexible enough. That’s precisely the kind of information that we here at HomeRate Mortgage desire to share with every Tennessee homebuyer and homeowner to make their investment safe and sound. 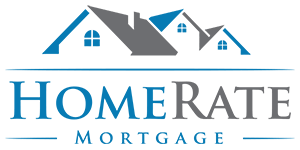 HomeRate Mortgage is a professional mortgage company that seeks to furnish you with customized information that meets your specific home financing needs. We cater to current homeowners as well as prospective buyers by offering tailored guidance and advice. Our expertise is unmatched, that is why we have helped hundreds of Tennessee residents to get the best mortgage deals, be it in the initial home purchase or a refinance bid. We take pride in our highly experienced staff that has enabled the company to become reputable in the Tennessee real estate market. It is because of that reputation, experience, and professionalism that we are confident we can guide you as you seek to put a roof over your head. We strongly encourage you to give us a call, or send us an email, with any mortgage needs that you might have. To get you started, we have compiled some information that we hope you will find helpful. Types of mortgages: what home loan options are available in Tennessee? Acquiring a mortgage: what is the process? What do you need to be eligible for a loan? What does underwriting involve? Interest rates: what are the current Tennessee rates? How are your mortgage rates determined? How can you lower the rates charged on your loan? Refinancing: at what point should you consider a refinance? Which type of refinancing suits you best? Is it wise to speculate on interest rates before refinancing? General demography: which Tennessee counties have the lowest listing prices? Which ones have the highest and why? What are the general home buying trends? You will get all the answers in the sections below. In case you need any additional information simply reach us and we will be more than happy to help. Remember that you can also apply for a mortgage loan directly through our website. We have the best mortgage deals in the whole state, and our team of dedicated staff will see to it that your application is approved.